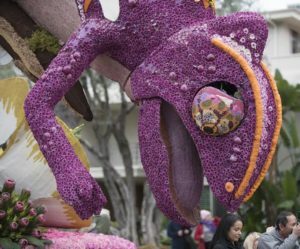 Cal Poly’s “A New Leaf” float, an animated family of chameleons, won the Founders’ Trophy in the 128th Rose Parade held Monday in Pasadena. The chameleons, including “Chomper” and “Rocky,” were exploring the wonders of a vibrantly colorful world around them. 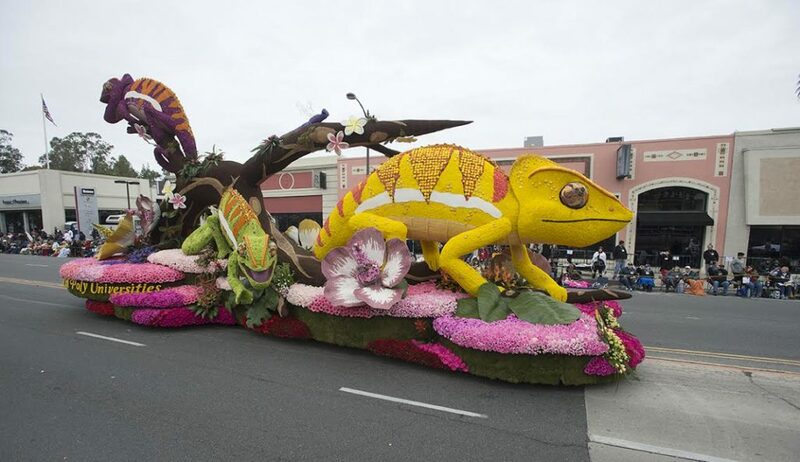 Cal Poly’s float, a combined effort of the San Luis Obispo and Pomona campuses, contained about 9,500 roses and 4,200 Gerbera daisies. It was just under 30 feet tall, and the largest chameleon was about 25 feet long and 7 feet tall. Rose Parade officials award the Founders’ Trophy to the most beautiful float built and decorated by volunteers from a community or organization. The Cal Poly float was the only student-built entry in Monday’s parade. “The Cal Poly universities’ float is a shining example of our students’ embrace of the Learn by Doing experience,” Cal Poly President Jeffrey Armstrong said. 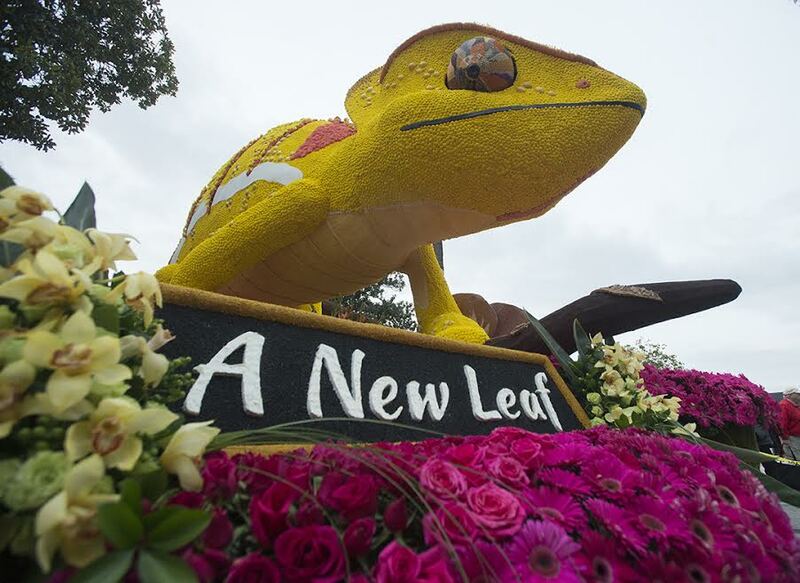 Zach Cooperband, the design chair of the float and a Cal Poly math and architectural engineering senior, said “A New Leaf” was the first tiered float in Cal Poly history. San Luis Obispo and Pomona students have collaborated on rose floats since 1949. The Cal Poly entries have won more than 50 awards. Last year, Cal Poly’s float earned the Leishman Trophy, which is awarded to the most beautiful non-commercial float.